Shaw Bransford & Roth publishes two email newsletters that provide federal managers, supervisors, executives, and federal agents the latest information they need to excel in their jobs. From top news stories affecting the federal workforce, to reporting on new regulations, laws, and key court decisions, we deliver unfiltered news in an easy-to-read, straightforward format to keep our readers ahead of the rapidly changing federal workplace. FEDmanager is our free weekly e-newsletter providing federal managers, executives and HR representatives the latest information they need to manage the nation’s largest and most important workforce. From top news stories affecting the federal workforce, to understandable reporting on new regulations, laws and key court decisions, we deliver the latest news, insight and expertise federal managers need. 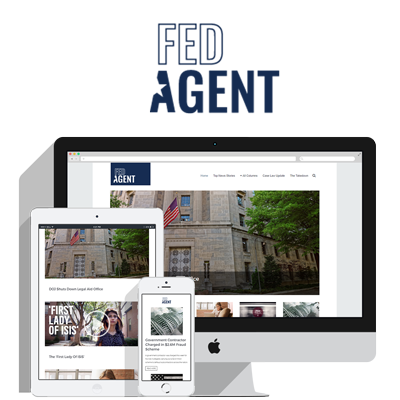 FEDagent is a free weekly e-newsletter providing up-to-date news for 1811 Special Agents and other federal employees engaged in the mission of federal law enforcement and homeland security. From top news stories in the federal law enforcement and homeland security arena, to understandable reporting on key court decisions, we deliver unfiltered, unbiased news in a straightforward format designed to keep our readers informed about their workforce.